After our trip to the Apple Festival a couple of weekends ago, I started experimenting with a few apple-y recipes and will be sharing them with you on the blog over the next couple of weeks. Let’s start with cocktails, shall we? My favorite summer cocktail (which you likely saw on Instagram multiple times because it is quite pretty) was a grapefruit Paloma – delicious! It was light and simple, which is what I was trying to get at with a fall cocktail, as well. 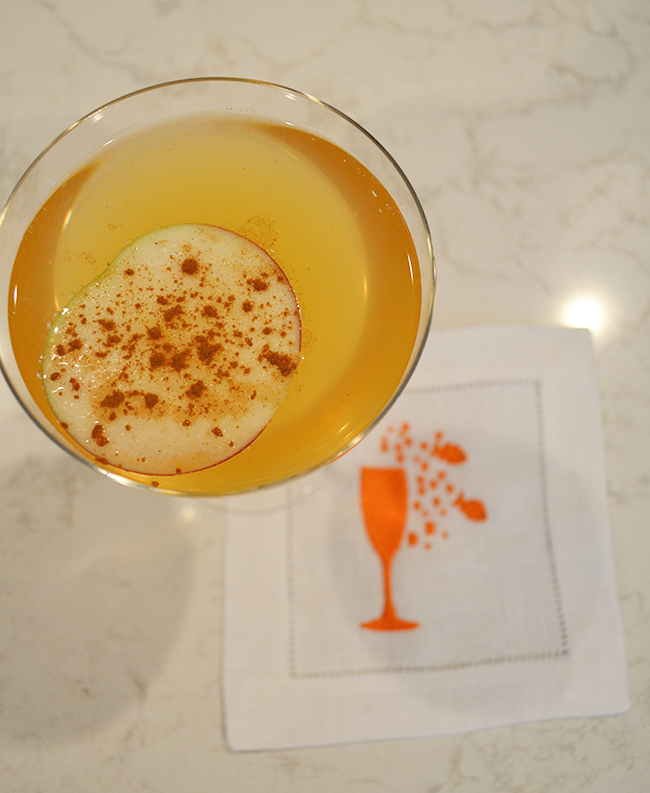 Combining the light and simple, plus a hint of flavors of the season gets you an apple cider champagne cocktail. 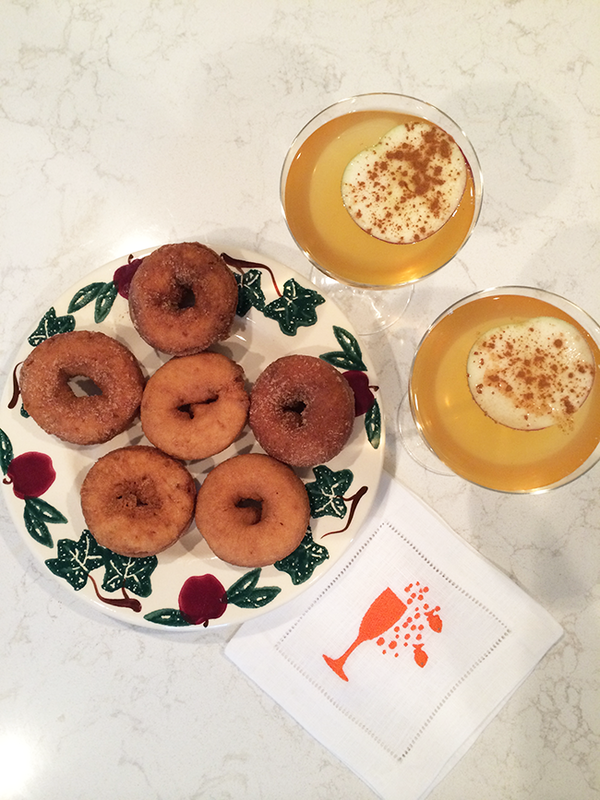 It’s a little bit like an apple cider mimosa, which is pretty darn good with cider donuts. There’s not a whole lot to this one, but it’s tasty, so give it a try! 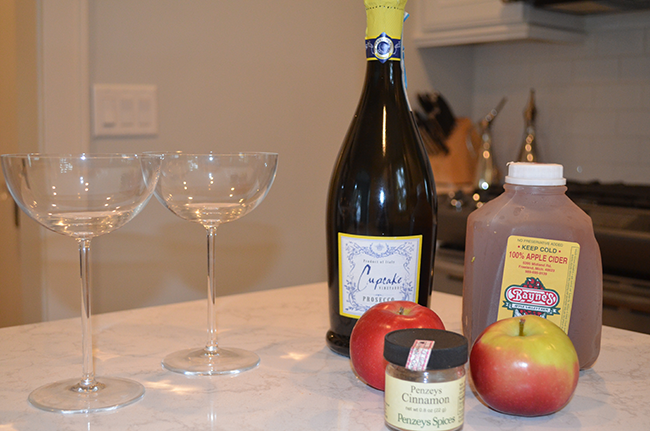 Combine Prosecco and apple cider in glasses, add agave to sweeten, as you like (depending on the cider you get, it can be a little bit tart and if you like that, then skip the agave). 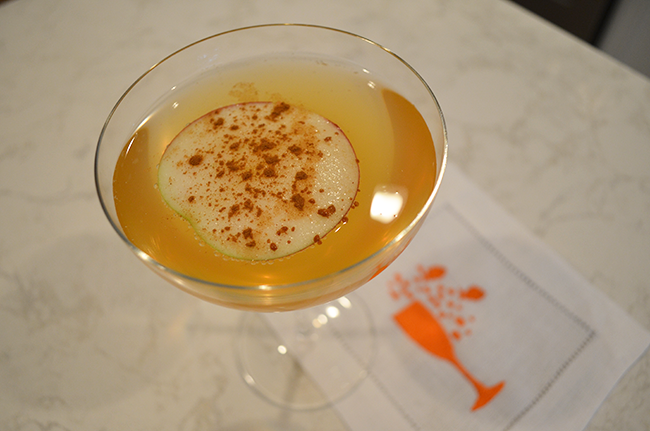 Garnish with cinnamon-sprinkled apples and serve. Complimenting my drinks in today’s post are my lovely cocktail napkins from Lettermade. I love just about every single thing that Malia, the founder of Lettermade, does and I have really enjoyed starting a collection of her cocktail napkins. There are many monograms and fun designs on her site, but if you have something else in mind, Malia is wonderful with putting together custom designs (like the “drink like a fish” napkins in this post!). Dinner napkins are a newer addition to the Lettermade collection, and there are really gorgeous monograms (this is my favorite) and thread colors available. Once we get past Halloween in our house, I’m hoping to pick a set for Thanksgiving dinner, which we’ll be hosting at our home this year.